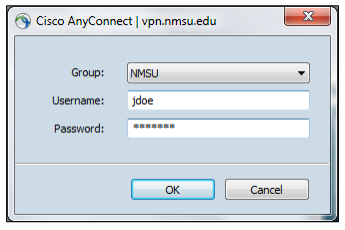 If you are having trouble connecting to the NMSU Cisco AnyConnect VPN Client, try going through the troubleshooting steps listed below. Troubleshooting Steps for Cisco AnyConnect VPN. OS UPDATES OR PATCHES: Sometimes the VPN client will stop working because of OS updates or patches. Try to uninstall the program and reinstall in order to fix this issue. Find your operating system below for uninstall instructions. FAILURE TO INSTALL – WINDOWS: Sometimes the web-based installation process may not work on your Windows computer. You can manually install the Cisco AnyConnect VPN if this happens. Go to the Control Panel. In the Control Panel, make sure you are in Category View and click on Uninstall a program. You can change the view using the View By option in the top right-hand corner. The next window will list all the programs installed on your machine. 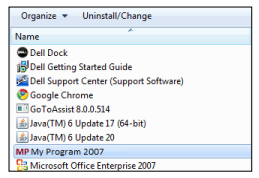 select the program you wish to uninstall and click the Uninstall/Change option. You may get a dialogue box asking you to confirm that you want to uninstall the program. Click Yes. Some programs may open an Uninstall window to uninstall - if so, click the Next button and follow the directions to uninstall the program. If prompted to select the features you want to remove, make sure to select ALL of them and click Remove. From the desktop, double-click on the Hard Disk icon. 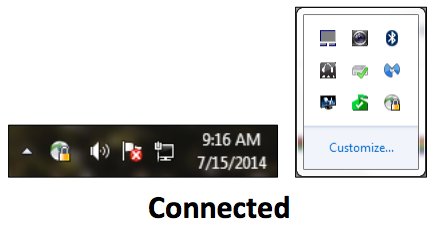 If this icon is not visible, click on Finder in the task bar. In the Finder menu, click on Preferences. Under the General tab, check the box next to Hard disks and click OK. In the Hard Disk window, click on the Applications folder. In the next column, select the program you want to remove and drag it to the Trash in the dock. The program should no longer be listed in Applications. To permanently delete this program, open the Trash and click on the Empty button. NOTE: some programs have an uninstaller which you should use. To use the uninstaller, open it once you have selected the program you want to remove and run it. 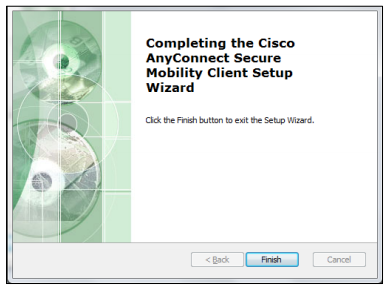 Now you will go through the Cisco AnyConnect installation process. On the Welcome screen, click Next. The next screen will list the license agreement. If you agree, select I accept the terms in the License Agreement and then click Next. If you do not agree, you will need to exit the setup. 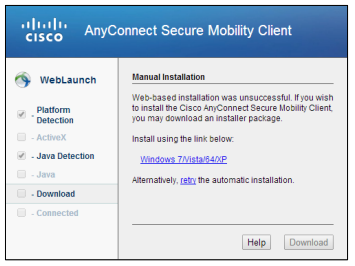 Note - You will not be able to access the Cisco AnyConnect VPN if you do not accept the License Agreement.